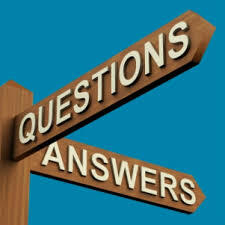 Each day we receive many questions about FHA mortgages from prospective homebuyers. Below we have listed a few of the most common FHA Home Loan Q&A. Do you have a question? Contact us at Ph: 800-743-7556 or just submit the quick info request form on this page. A: The Federal Housing Administration (FHA) is an agency of the federal government. The FHA insures private loans issued for new and existing housing, and for approved programs for home repairs. The FHA was created by Congress in 1934, and in 1965 became part of the Department of Housing and Urban Development’s Office of Housing, also known as HUD. The FHA’s mission in the present day includes offering help borrowers achieving the dream of homeownership with minimum cash savings. FHA also assists lenders by reducing the risk of issuing loans. A: Yes! HUD announced in 2015 that the mortgage insurance costs for FHA mortgages (also known as PMI or MIP) are being reduced from 1.35% to .85% for max 97.5% financing loans. This is not only great news for new home buyers using the FHA financing program but also great news for existing homeowners that already have an FHA mortgage. These existing homeowners can potentially refinance and save money each month with the reduced mortgage insurance rate. Even if you are upside down on your mortgage the FHA streamline refinance makes it possible. Please read more on the FHA mortgage insurance topic here. A. Yes, your family can help contribute the needed down payment and/or closing costs funds. However, the “gift funds” must be documented by both the gift donor and gift recipient. Just be sure to talk to your loan specialist before receiving any large deposits. A: No, anyone can apply for the FHA loan, the program isn’t reserved for only first time buyers. 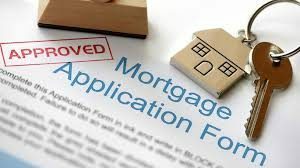 However, applicants that currently have an FHA mortgage, and want to retain their house, may face additional qualifying challenges for the new loan. A: FHA interest rates are actually very low, often times lower than conventional Fannie Mae or conforming loans. As of 2019, FHA mortgage interest rates are near all-time lows! A: As of 2006, FHA has eliminated most of the obstacles to a property qualifying or being “compliant” for FHA financing. Generally, if a home is in good enough condition to qualify for a traditional mortgage, it will also qualify for an FHA mortgage. A: Contact us by submitting the short request form on this page, or call 800-743-7556. Also, click to learn about the FHA application and pre approval requirements. Once you do this a loan specialist will contact us to discuss the process in details. The entire FHA pre-approval process only takes about 15 minutes to complete. You should have basic income and asset information on hand, this includes W2, paystubs, tax returns and bank statements. You should be able to demonstrate employability, job stability, and reliability. This reliability includes holding a steady job for at least two years with no large breaks in employment. Any foreclosures on your record should be at least four years old. The same applies to bankruptcy. A: The FHA loan limit varies depending on the county in the U.S. FHA loan limits can change based on factors including average area home prices. See the latest 2019 FHA Loan Limits here. A: Yes, in recent years there has been an increase in the amount of FHA insured home loan money available to borrowers approved for loans on single-family home mortgages. Since many low down payment mortgages disappeared back in 2007, FHA has filled the gap. This increase in availability means more borrowing power for those applying for FHA home loans, and lets more people than ever have the opportunity to own a home. With only a 3.5% down payment and a higher single-family home mortgage limits, now may be the best time for you to apply for an FHA home loan. Take a good look at your finances before you proceed; your monthly housing costs should not take up more than 31% of your gross monthly income. Some people make the mistake of calculating their housing budget using net income, which won’t help you when it comes time to apply for an FHA loan. 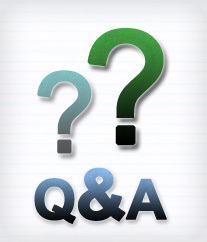 A: FHA mortgages are insured to protect lenders in case of a default on the FHA loan. An FHA mortgage is advantageous to the borrower because of the reduced cash investment needed to close on a home. The FHA mortgage (and low down payment) is possible in part because the FHA is funded solely from the income it creates itself via monthly mortgage insurance payments. Like most government mortgage programs, the FHA is not funded by tax dollars, but from the revenue generated by FHA mortgage insurance. Other home loans have more stringent requirements, but FHA mortgages have flexible payment schedules and more inclusive definitions of monthly income. All of this may be quite confusing to a first time home buyer. If you aren’t sure why an FHA loan may be right for you, reach out to us by calling 800-743-7556 and let’s talk about the best financing options for you. A: Yes like all other government mortgage programs ( USDA, VA) the FHA loan also requires an upfront, one-time mortgage insurance premium to be paid at closing. The upfront mortgage insurance premium of 1.75% (UFMIP as it’s known) is most often rolled into the new loan. It can also be paid out of pocket by the home buyer, but most just decide to add to their total loan amount. Learn more about FHA mortgage insurance by clicking here. A: Except for the addition of an FHA mortgage insurance premium, FHA closing costs are pretty much the same as other government loan programs or conventional loan. The FHA requires a single, upfront mortgage insurance premium equal to 1.75% of the mortgage to be paid at closing or financed into the new loan. All Government home loans require some sort of upfront mortgage premium – USDA loans require 1%, VA loans require 2.15%, FHA loans require 1.75%. After closing, you will then be responsible for an annual premium paid monthly. See the FHA loan details page above for more explanation. As for other costs like appraisal, survey, government taxes, title/attorney related fees, lender fees – these are pretty much all the same regardless of what type of loan you choose. A. Yes, all government home loans (FHA included) will require taxes and home insurance to be escrowed and included with your monthly loan payment. It will also be renewed automatically for you each year. Q. Can I sell my home and move anytime with an FHA loan? F. Wallace – Charlotte, North Carolina. A. Yes, you can sell your home and pay off your loan at any time without penalty. Q. What if I need to borrow a higher loan amount that is over the allowable FHA loan limits, do I need to apply for a Jumbo loan? A. Yes, if your loan amount is over the limit for your county, you would need to look at other options like Jumbo financing. Certain lenders now offer Jumbo loans to 95% financing. Only 5 percent down payment needed. A: Yes! The FHA does allow refinancing on an FHA loan, but there are some FHA loan requirements. These include FHA guidelines on the reasons for the refinancing – interest rate reduction, cash out, etc. As part of the FHA streamline process lenders are permitted to include the closing costs into the new mortgage, as long as there is enough equity in the property. Most streamline refinance programs are just that.. “streamline” They don’t require a new appraisal, loan to value can be unlimited and minimum hassles in regards to paperwork. Click here to learn more about the FHA refinance options. FHA interest rates are still low in 2019. A: If interest rates drop significantly, you may want to investigate refinancing. Most experts agree that if you plan to be in your house for at least 24 months and you can get a rate 2% less than your current one, refinancing is a good idea. But refinancing may also include closing costs again, even though these costs can likely be rolled into the new loan, they are still “costs” that will be added to your loan balance. The benefits must justify the cost. A. The loan pre-approval process is typically done over the phone in about 15 min, pretty quick process. Applicants will want to have their income pay stubs and bank statements for the past two months. In addition W2 and tax returns for the previous two years. The mortgage company will likely request these items once the FHA loan application is complete. You will also need to answer basic questions like address, asset amounts, birthday, etc. A. The loan pre-approval typically lasts for three months. If you have not purchased a home in the time frame, the lender will likely want to obtain a new credit report and update any new changes to your application. It generally only takes a few mins to get everything updated and get a new letter of pre-approved issued to you. A. The pre-qualification is when the lender obtains a credit report and asked you the questions needed for an application, but WITHOUT actually verifying with supporting documentation. Income, pay stubs, asset statements, etc. They are basically taking “your word” A pre-approval is when they actually verify all these things before issuing a commitment letter. A. Definitely get pre-approved before starting the home search. Many realtors and home sellers will request/demand this anyway before accepting any offer from you. It’s important you understand in advance your pre-approval amount, monthly expenses, etc. A. Some mortgage companies could charge an application fee to apply. But most (like us) typically just charge the costs of a credit report to process your FHA application. Credit report charges are pretty cheap, generally $20 per applicant. FHA Mortgage Source is a national loan resource, serving you 7 days a week. Have questions? we want to help. Please call us at Ph: 800-743-7556 or submit the quick Info Request Form on this page.